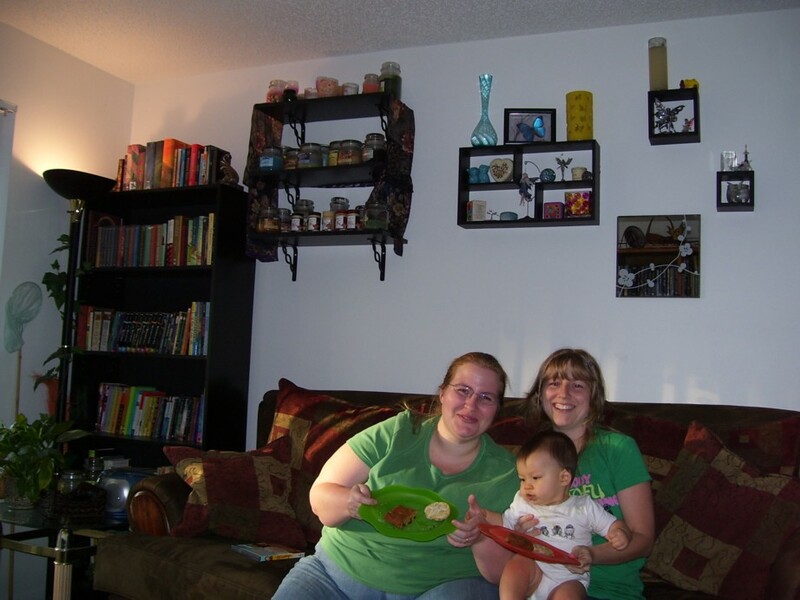 Here are some of my favorite photos of 2008! (Some are redundant from other pages, and others appear here only.) These are displayed with the newest on top. 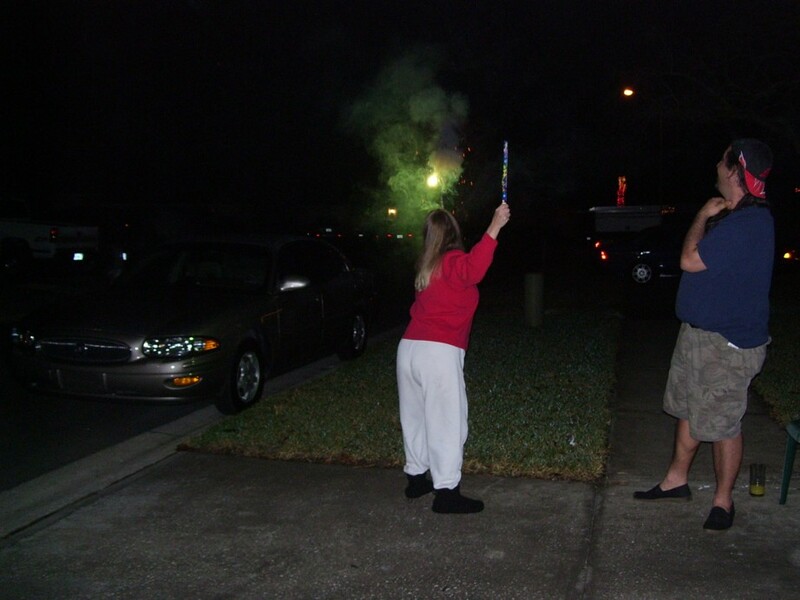 momcandles5.jpg: My mom really enjoyed shooting off fireworks with me and Mikey on New Year's Eve. 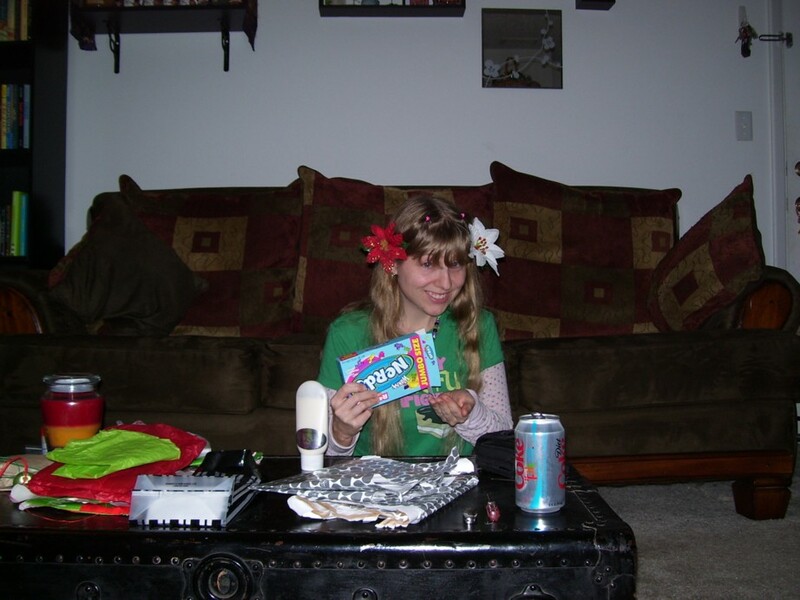 December 31, 2008.
nerdyflower4.jpg: Some cute flowers had been attached to the wrapping paper of a gift Stacy gave me earlier this day, so this is me with the flowers in my hair, eating Nerds. December 29, 2008.
xmascake2.jpg: Mikey and I ate my homemade cake on Christmas Day. 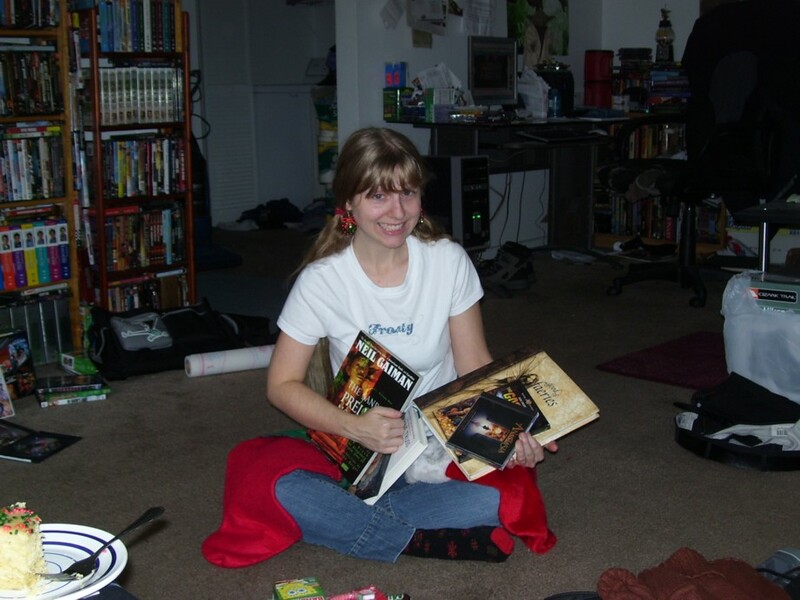 December 25, 2008.
mymikeygifts.jpg: This is me with the gifts I received from Mikey. December 25, 2008.
partypeople.jpg: I had a gathering with some friends for a holiday meal. My mom was there too but she wasn't in the picture. 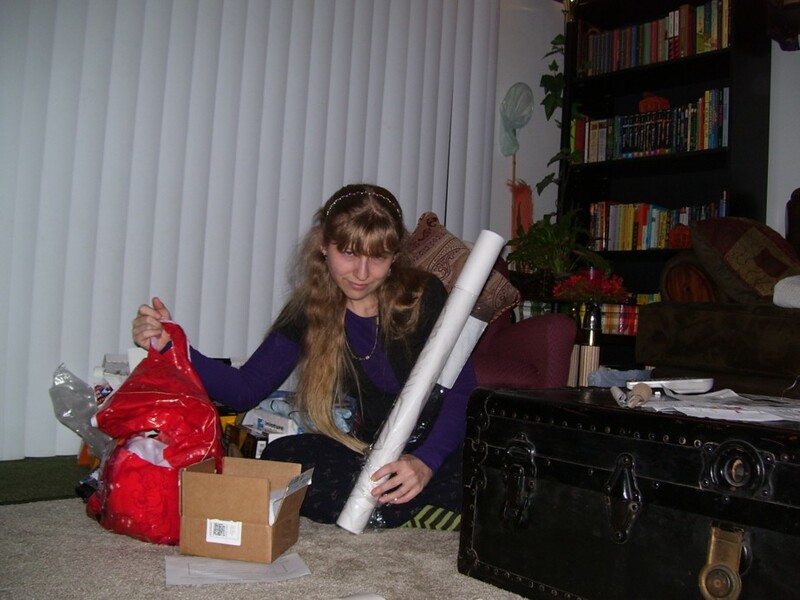 December 20, 2008.
xmasslump2.jpg: I was very tired after preparing, packing, and sending holiday gifts all day. 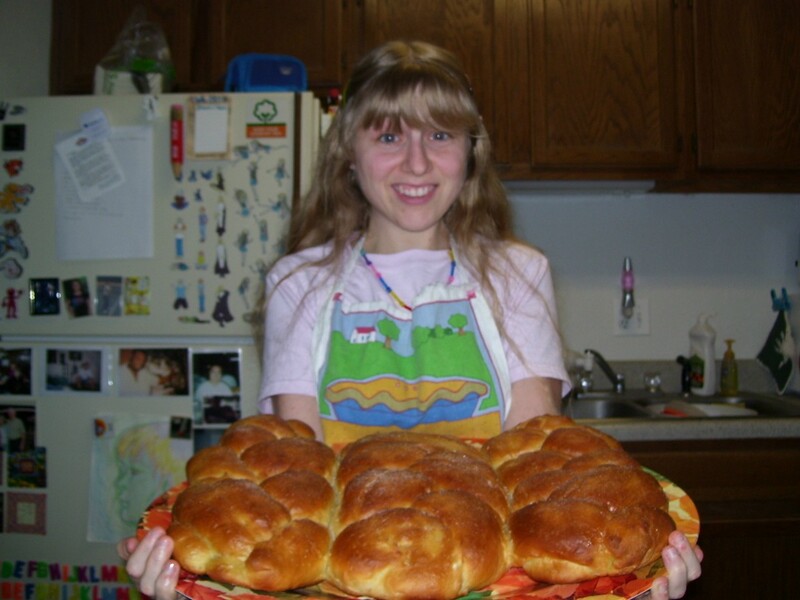 December 18, 2008.
itisrisen.jpg: I made yeast rolls for the Thanksgiving celebration I was going to the next day. They rose. 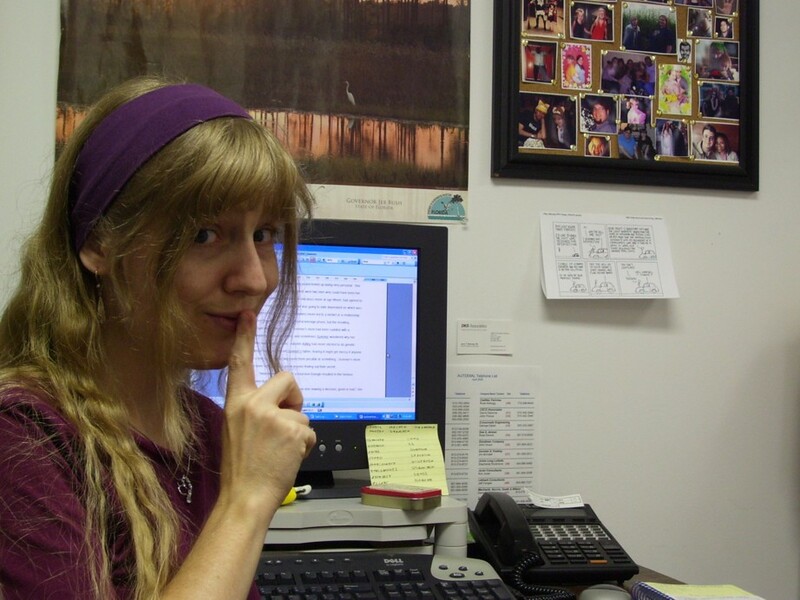 November 26, 2008.
shhwriting.jpg: I got a good idea for a short story that made me even want to work on it when I was at work. 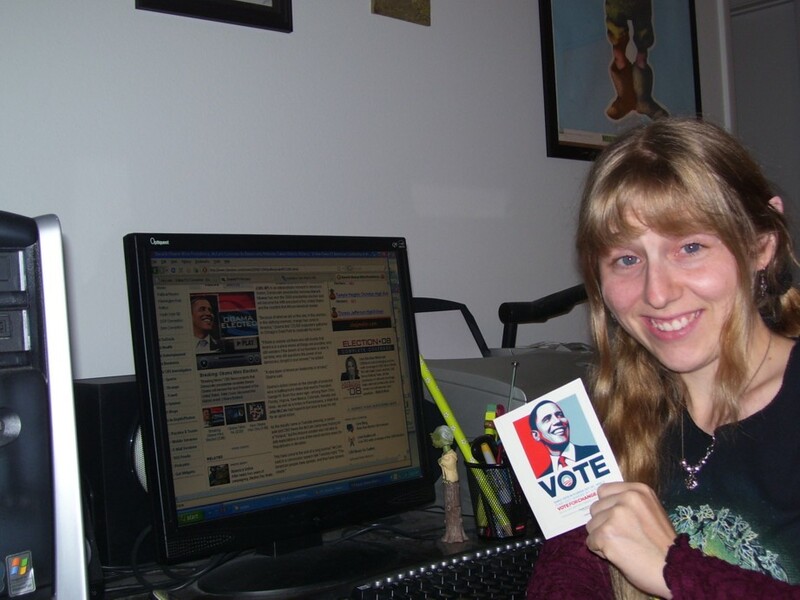 November 12, 2008.
gobama.jpg: Shortly after the election results were announced, and as you can tell from my expression my candidate was the winner. 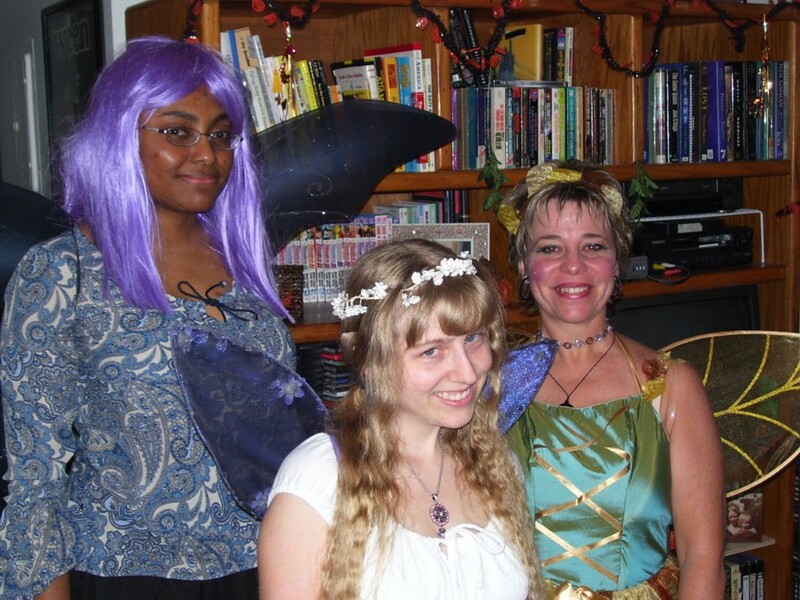 November 4, 2008.
threefairies1.jpg: Halloween brought THREE fairy costumes at my party! This is me and Mike's mom and Anita. 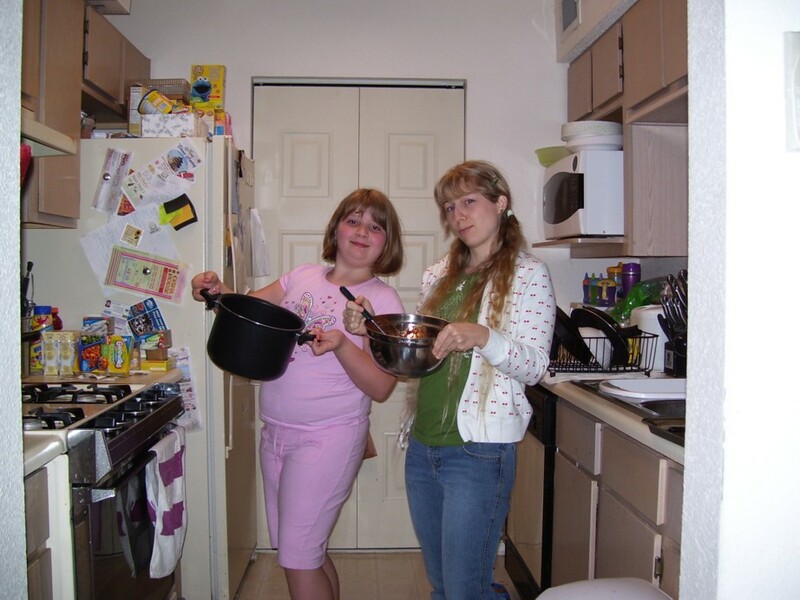 October 31, 2008.
katiepasta.jpg: I made pasta with Katelyn at their house. 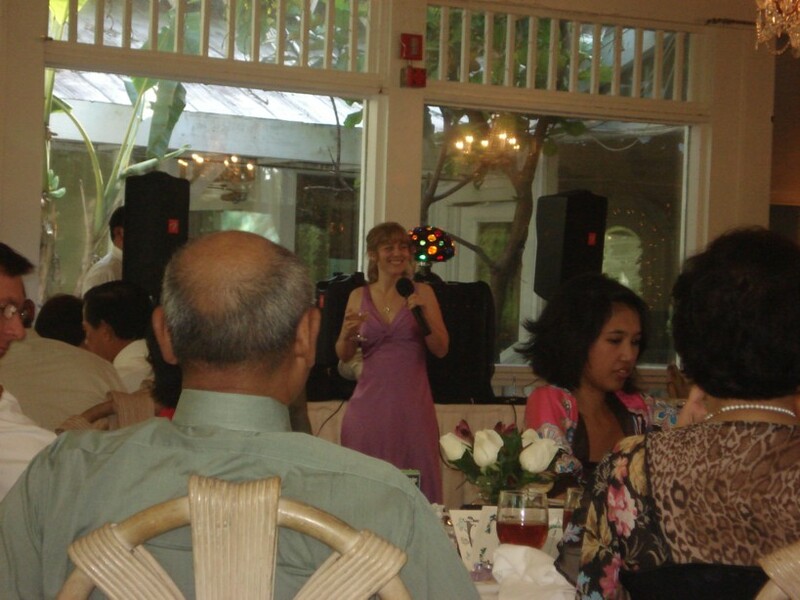 October 13, 2008.
receptionswankyspeech1.jpg: I'm the maid of honor so I got to give a speech at the reception. 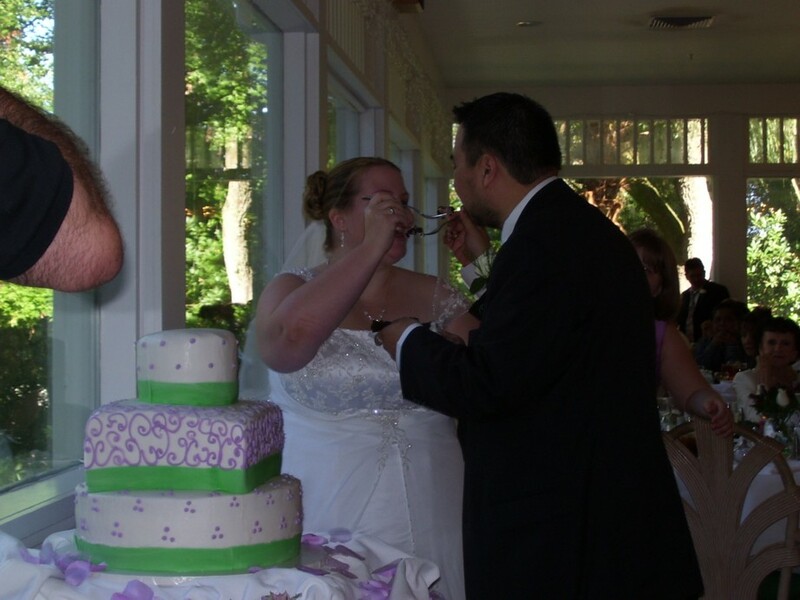 October 12, 2008.
receptioncake2.jpg: Meggie and Brendon got married. They get to eat wedding cake. October 12, 2008.
ceremonylaugh.jpg: Here is the wedding party at Meggie and Brendon's wedding. 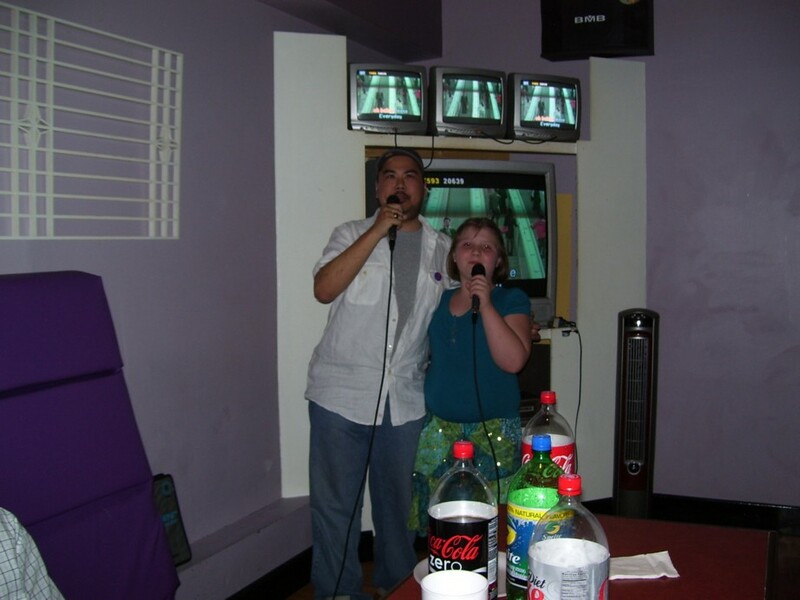 October 12, 2008.
karaokebrenkatie.jpg: Brendon and Katelyn singing together. October 11, 2008.
ivybenkatieshoestore.jpg: Here's me with Katelyn and Benjamin while their mommy was shopping for shoes. 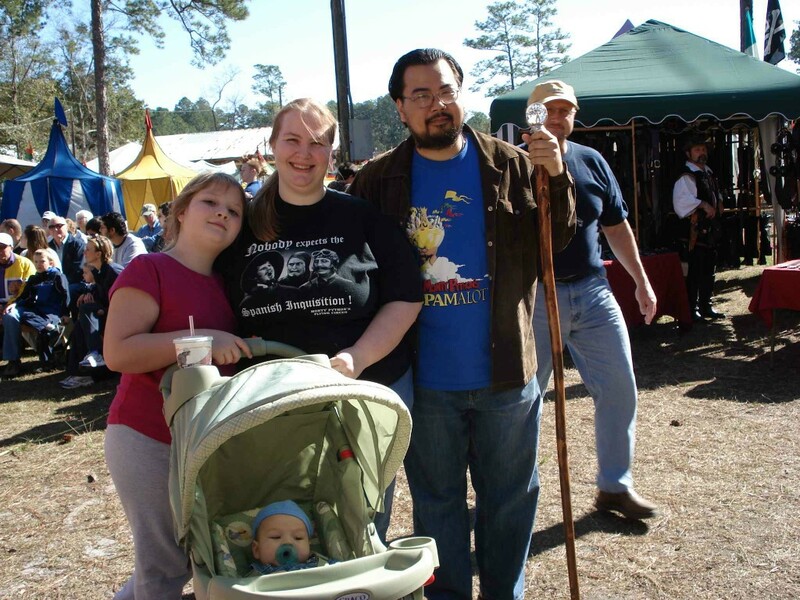 October 9, 2008.
tarponoutfit.jpg: Here I'm wearing an outfit I bought in Tarpon Springs. 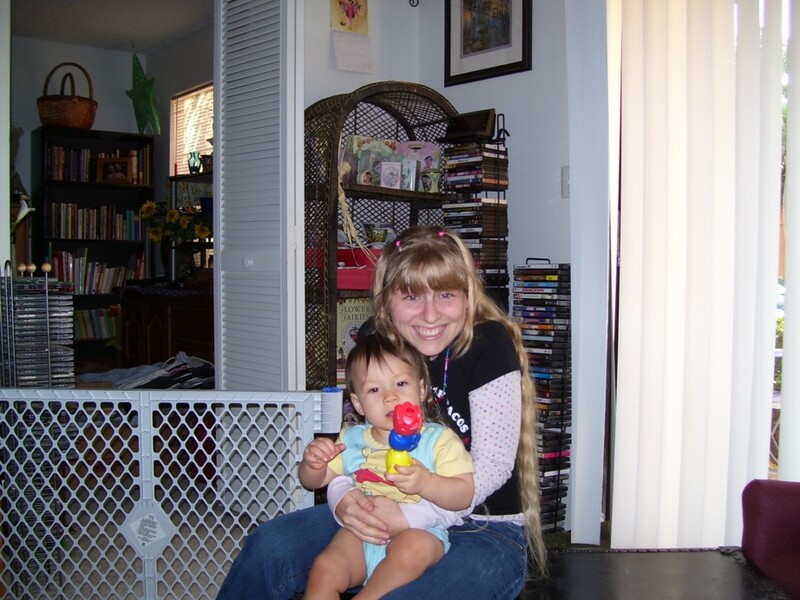 October 4, 2008.
septemberben.jpg: Me hugging Meggie's baby Benjamin as he squirms around. 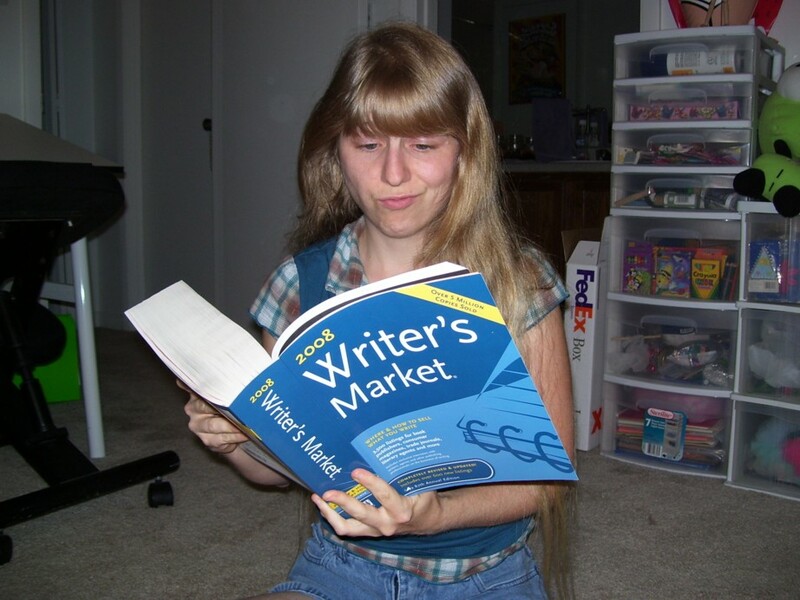 September 13, 2008.
writersmarket.jpg: Me glumly perusing the Writer's Market to look for other agents to submit to after my manuscript got rejected. 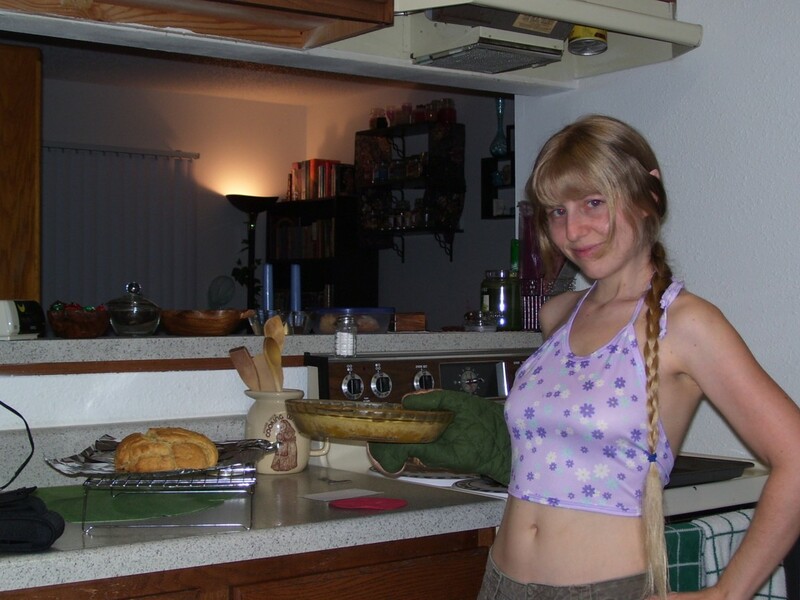 September 10, 2008.
eatinpunkin.jpg: I'm pretending I'm going to devour the whole loaf of vegan pumpkin bread I'd made. August 29, 2008.
jeauxtennis0808.jpg: Jeaux and I had a nice game of tennis. 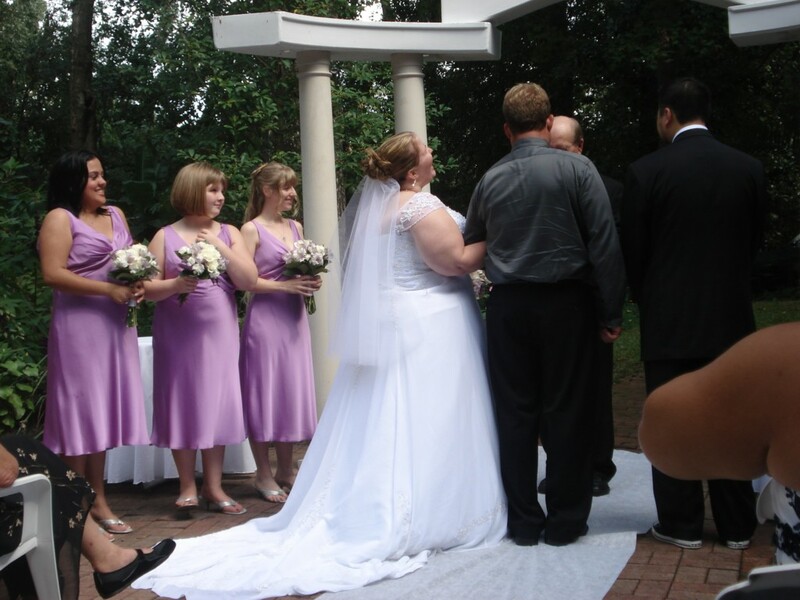 August 26, 2008.
kissbythewater.jpg: Ronni and Adam are married. A romantic shot of them by the water. July 27, 2008.
stpastabandit.jpg: During Fred's visit, we ate at Sweet Tomatoes with Mikey. July 18, 2008.
k10bday11.jpg: Li'l Katelyn's tenth birthday was partially celebrated at my place. 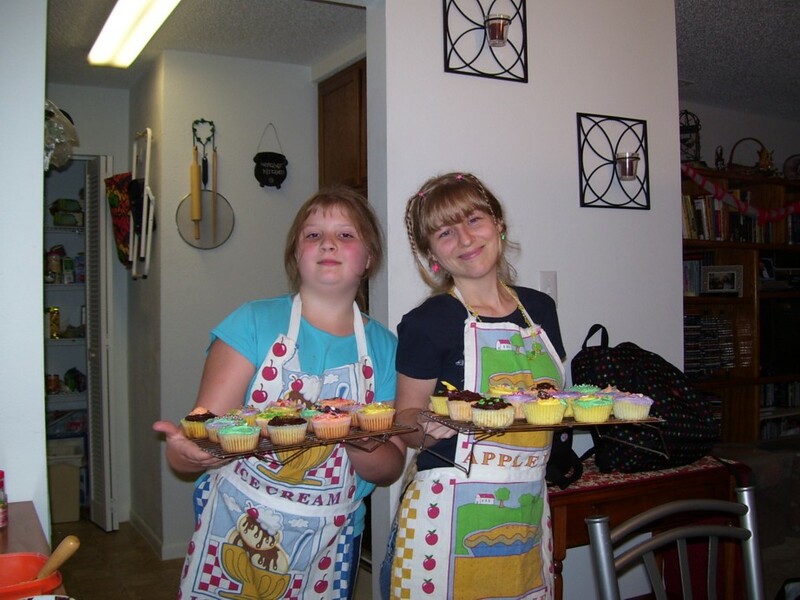 We made cupcakes and decorated them! 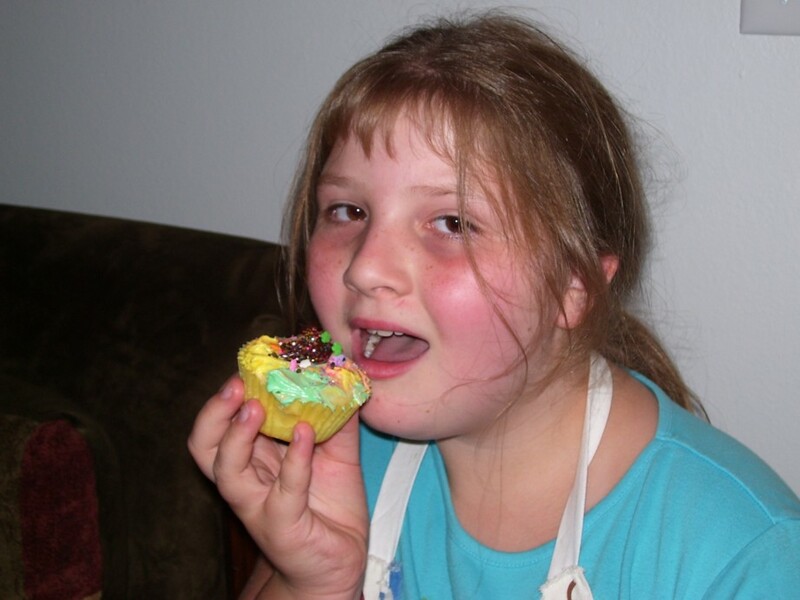 July 12, 2008.
k10bday13.jpg: This is Katelyn about to consume the "birthday girl cupcake," which included every color of icing we made and every topping on the table. 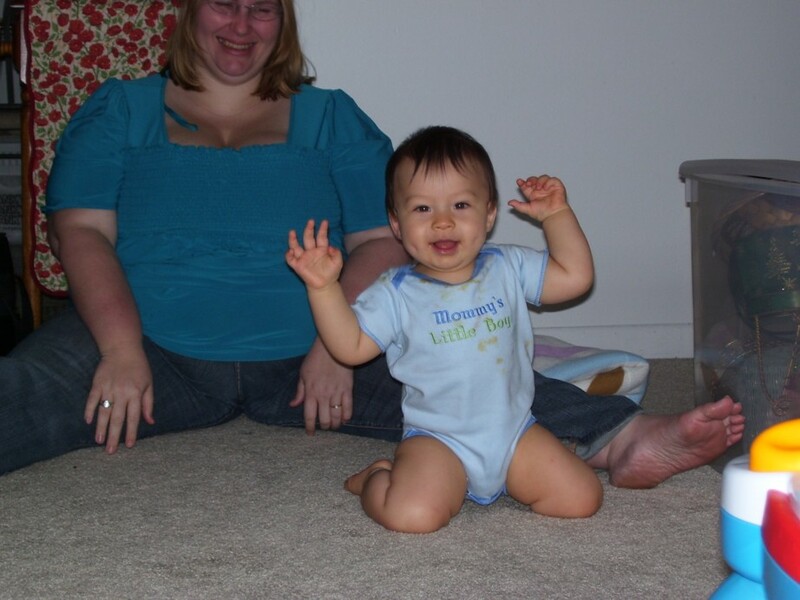 July 12, 2008.
k10bday7.jpg: Li'l Benjamin and his mommy Meggie, partyin' at my house. July 12, 2008.
fatslippers2.jpg: My new "304 Not Modified" shirt and my funny fat slippers, just sitting on the couch being kinda cute. 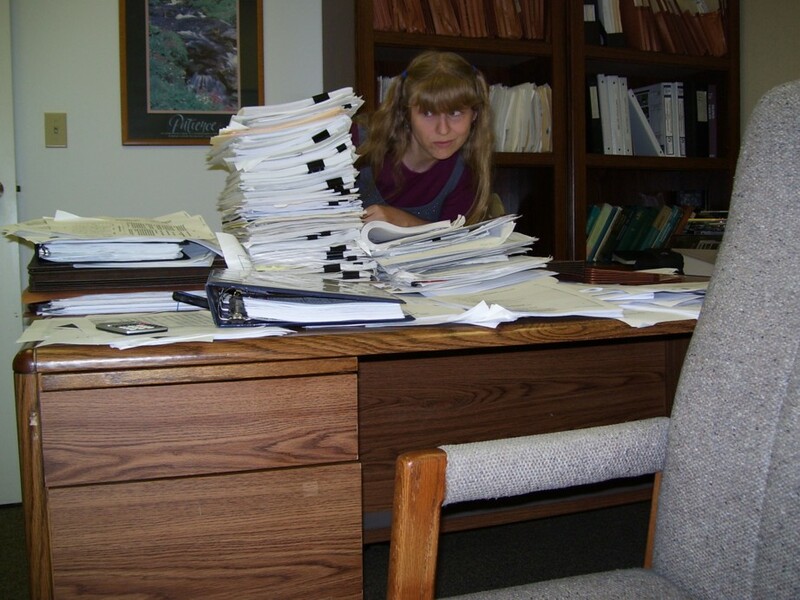 June 27, 2008.
paperthishigh.jpg: I had to clean a co-worker's office at work, and he had lots of unorganized loose paper. I eyed it with slight disbelief and panic. June 17, 2008.
spankeddos.jpg: This time Mikey and I played tennis and I spanked him. June 1, 2008.
benbrownie.jpg: Meg and I made brownies and cookies. 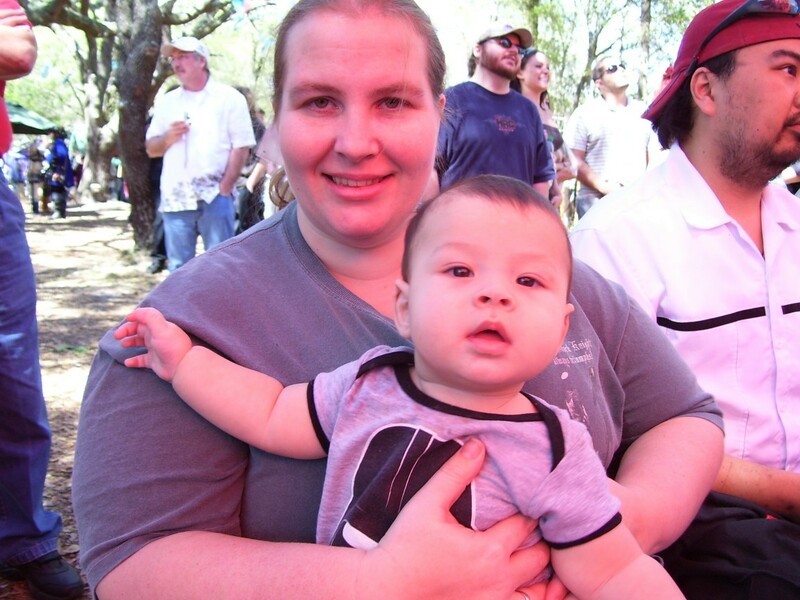 They were really good, and baby Ben seemed to think they looked appetizing as well. 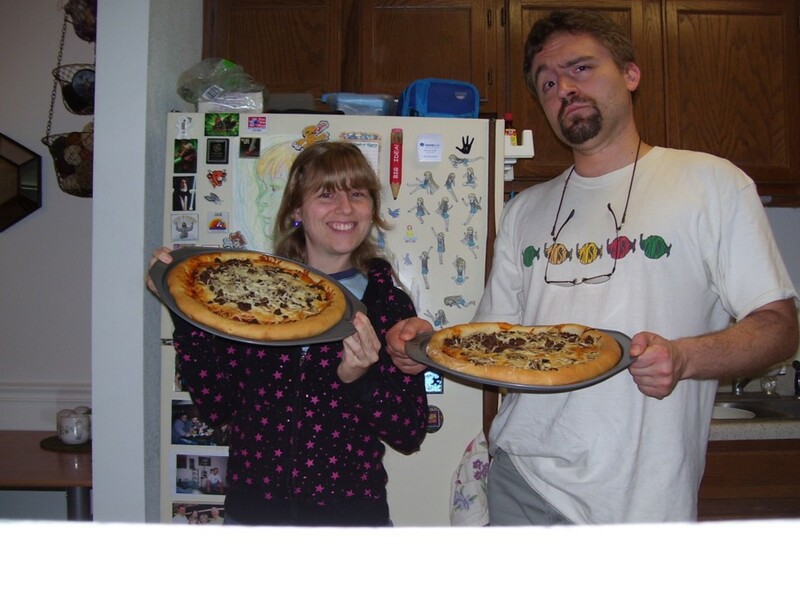 May 31, 2008.
robivypizza1.jpg: Rob and I made our own pizzas from scratch. They were very good. 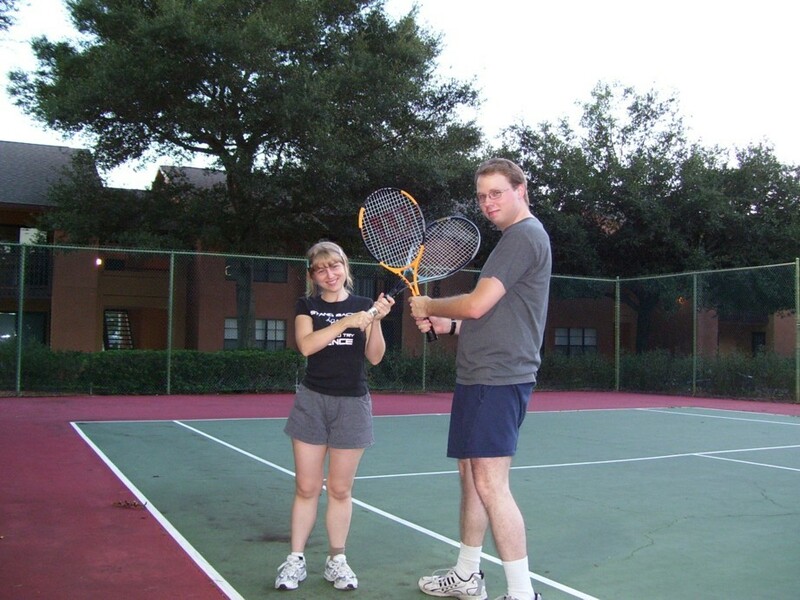 May 24, 2008.
spanked.jpg: I played tennis with Mikey and got spanked. May 18, 2008.
belpie1.jpg: I baked a pie for the Beltane festivities. 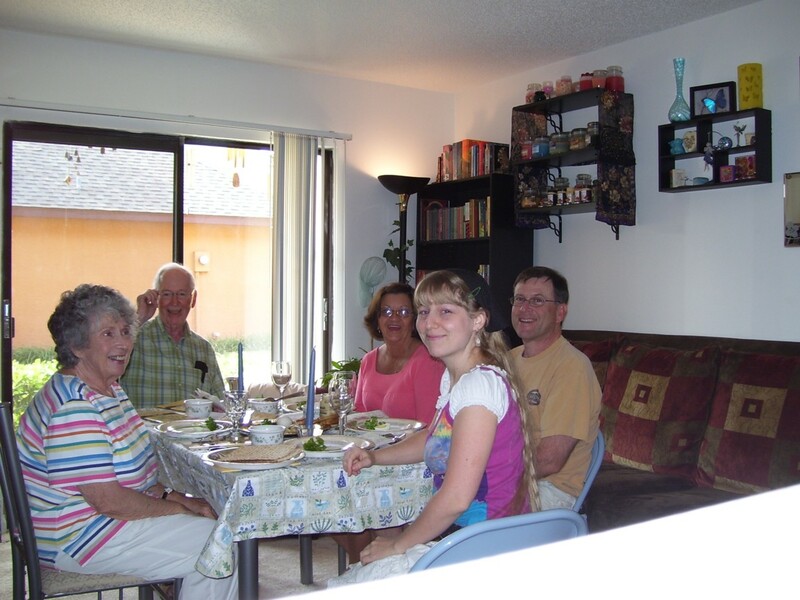 April 30, 2008.
passover.jpg: I had a Passover celebration at my apartment with my dad's side of the family. This is my grandparents with my dad and Connie. 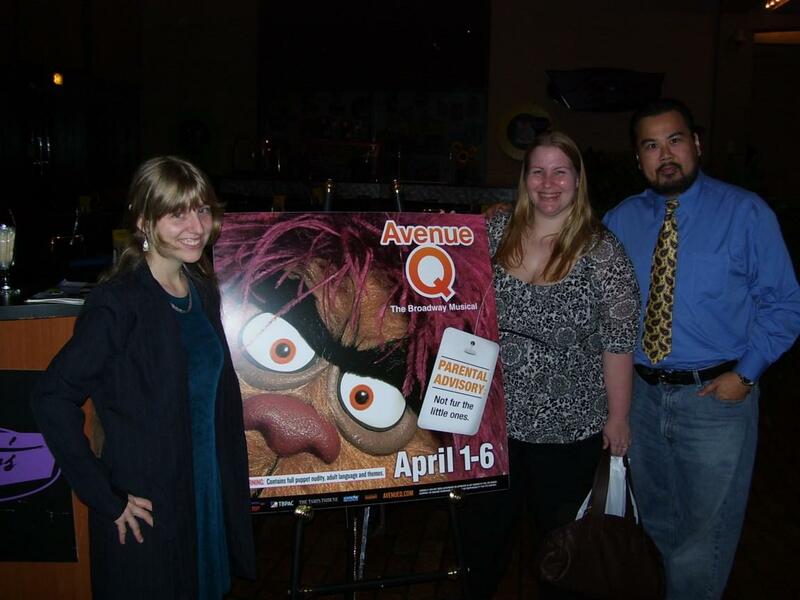 April 19, 2008.
aveq.jpg: My friends and I went to see Avenue Q! Here's me, Meggie, and Brendon. 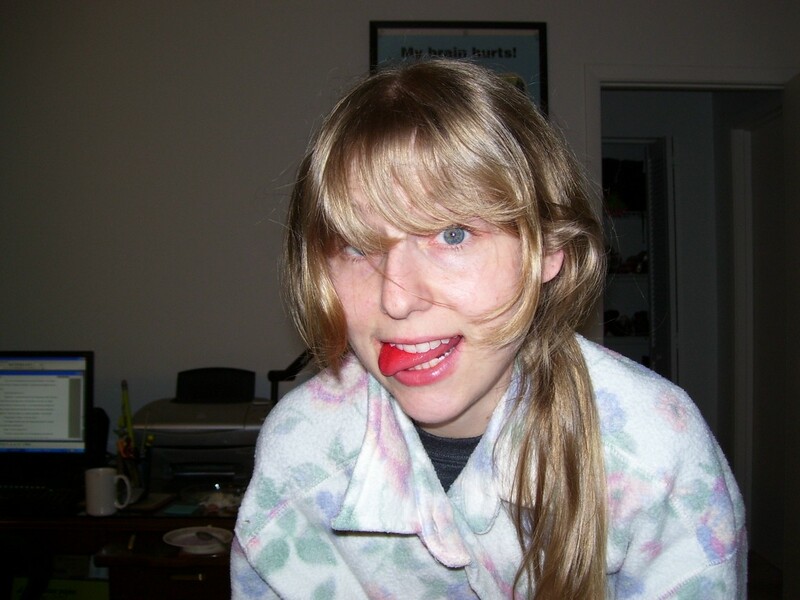 April 4, 2008.
redtongue1.jpg: I ate Kool-Aid mix by itself and ended up with a very red tongue. 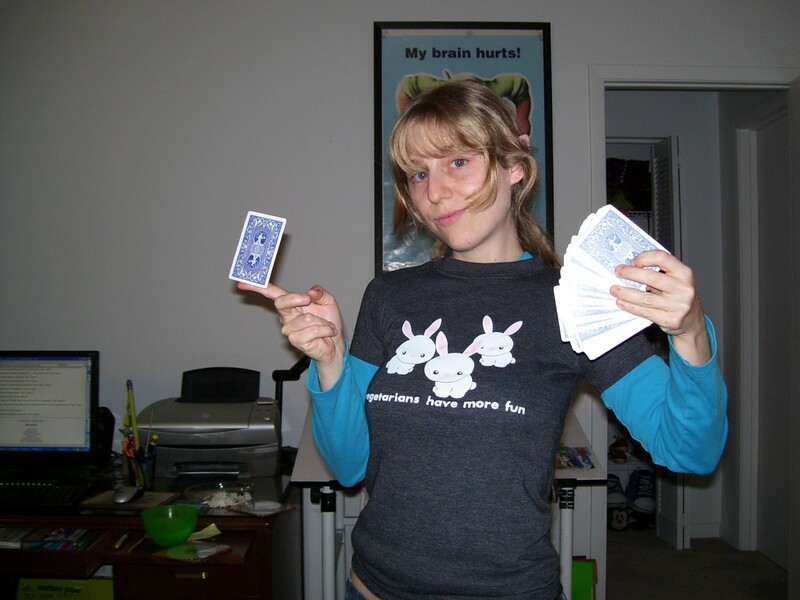 March 22, 2008.
pickacard2.jpg: Pick a card, any card. 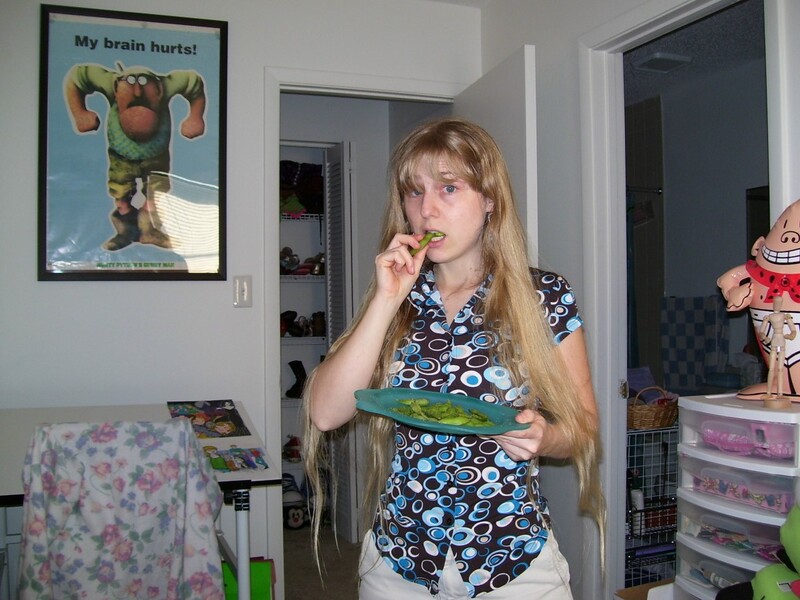 March 22, 2008.
numedamame.jpg: Eating edamame happily. 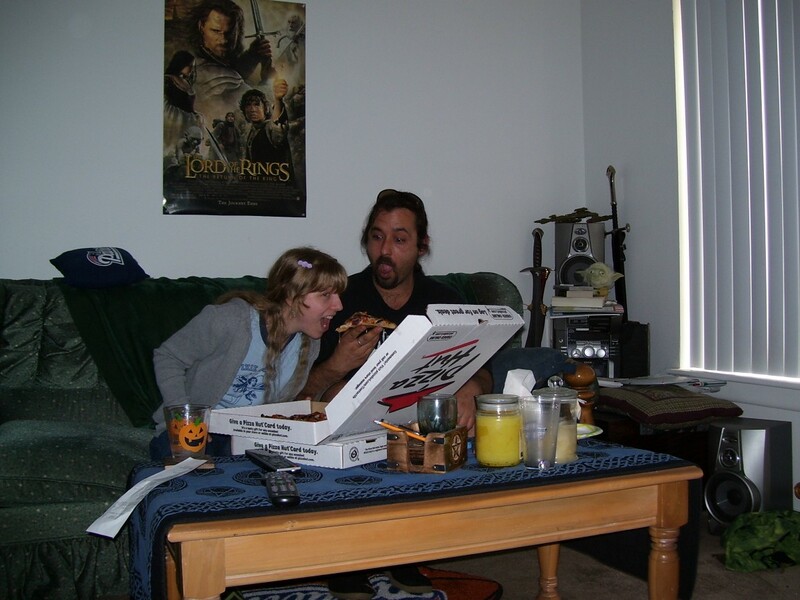 March 19, 2008.
ourpizza2.jpg: Mikey and I ate pizza at his house. March 15, 2008.
bensalldone2.jpg: Ben and Meggie right after Ben had lunch. 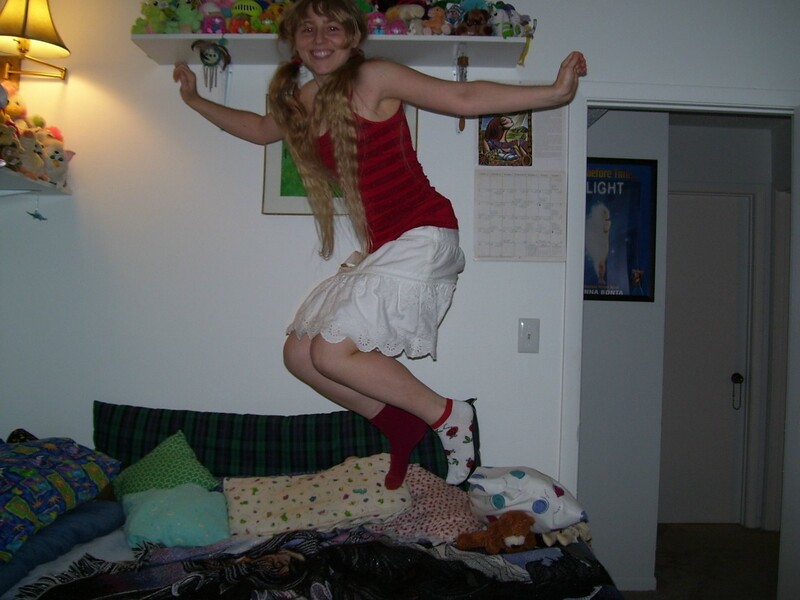 March 9, 2008.
jumpskirt7.jpg: I felt like jumping on my bed, so I did. That's one of the best things about being a grown-up: Getting to act like a kid and having no one to tell you not to. 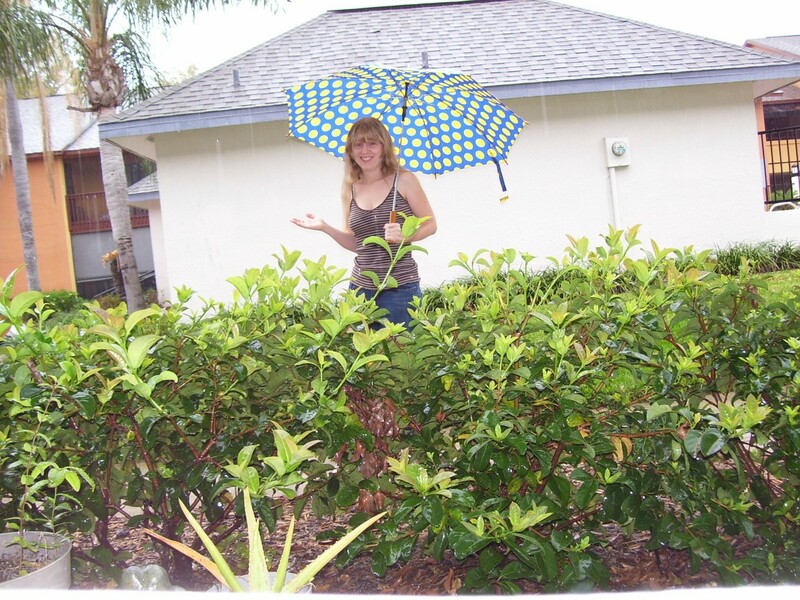 March 8, 2008.
intherain.jpg: It rained a lot this week. Here's me with an umbrella. 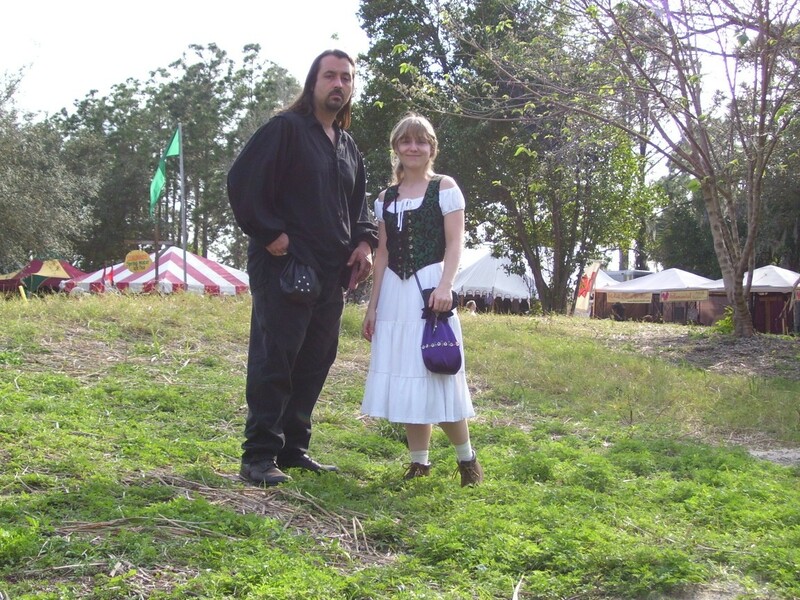 March 6, 2008.
lordandlady2.jpg: Here is what Mikey and I wore to the Renaissance Faire in Tampa. 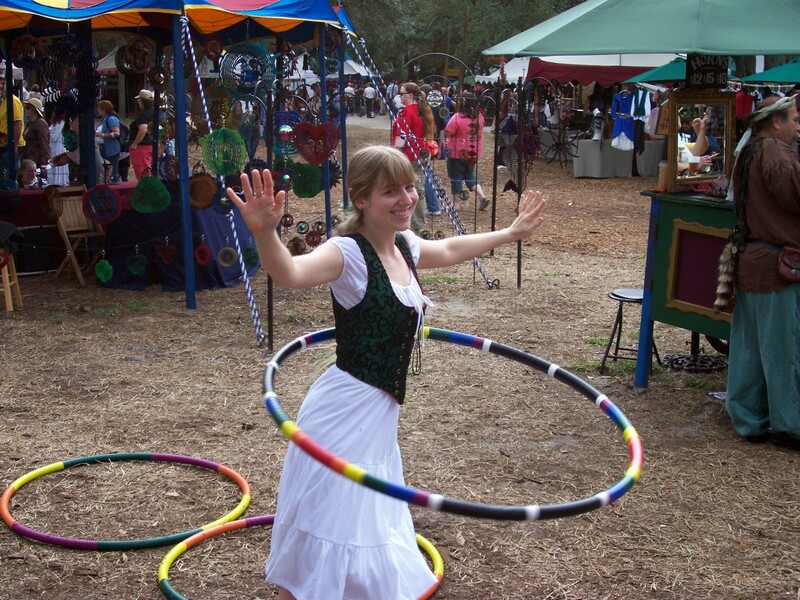 March 1, 2008.
huladress2.jpg: I did a hula-hoop while wearing a corset. 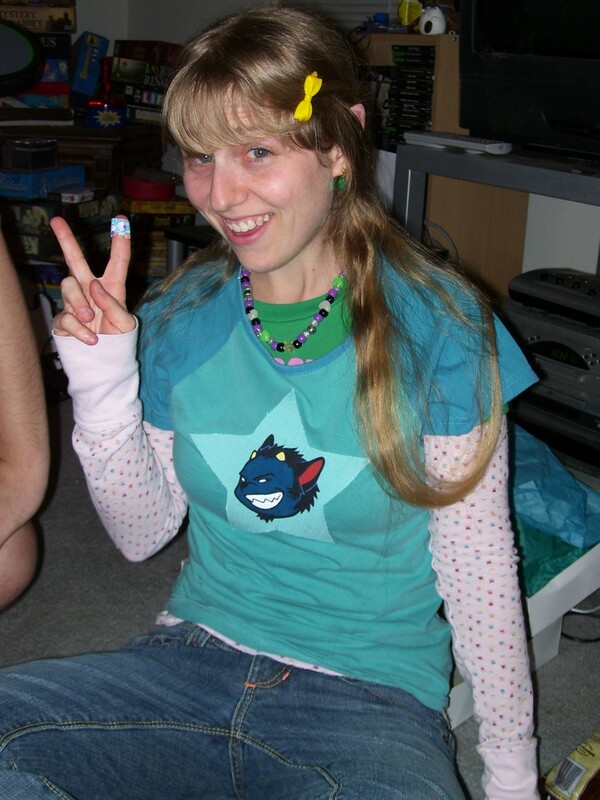 March 1, 2008.
weavershirt.jpg: Kari made me this shirt featuring my comic and novel character Weaver. It's so cute! 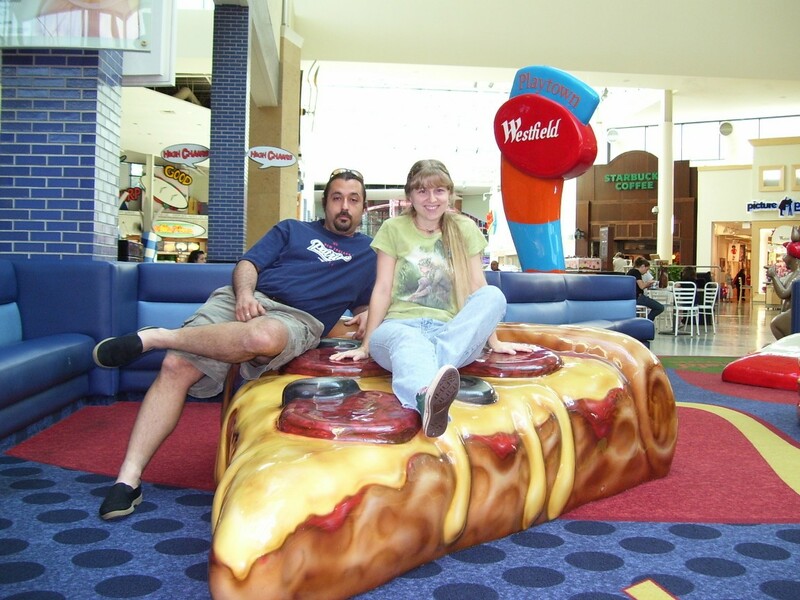 February 28, 2008.
mikeypizza1.jpg: In one of our malls in Tampa, they have giant squishy pretend food for kids to play on. 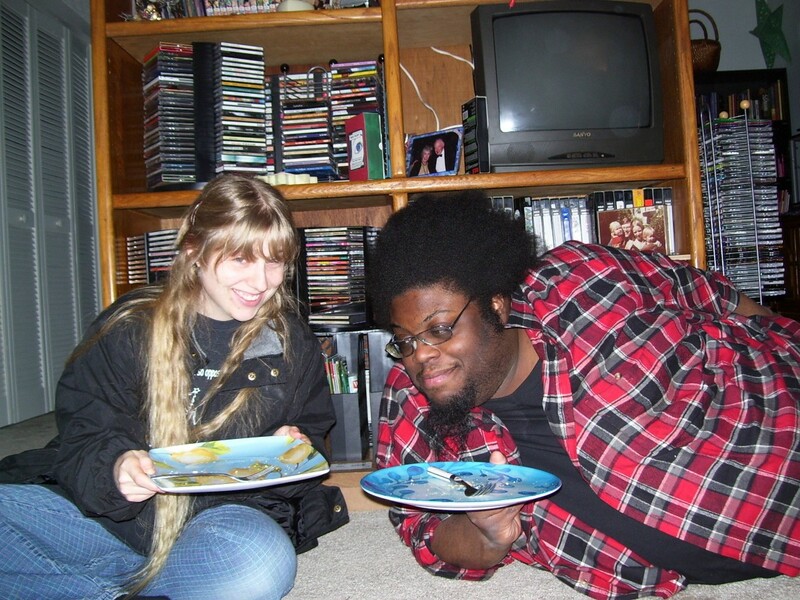 Here's us sitting on pizza! 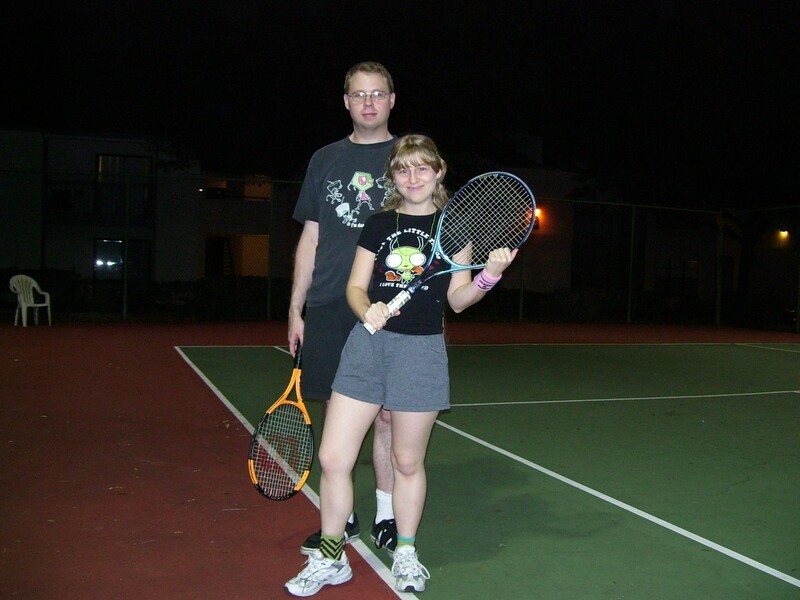 February 9, 2008.
jeauxjtennis2.jpg: I play night tennis with Jeaux sometimes. 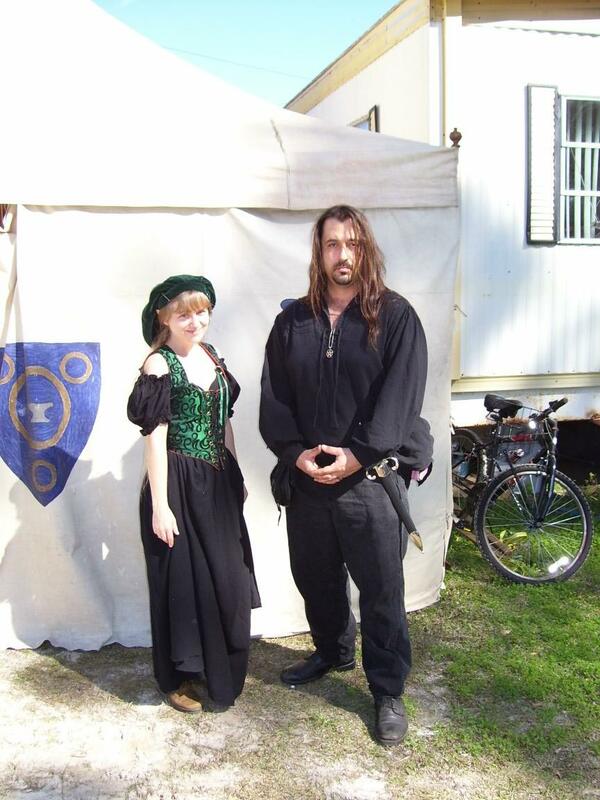 February 5, 2008.
hoggoutfits.jpg: Here is what Mikey and I wore to the Renaissance Festival. 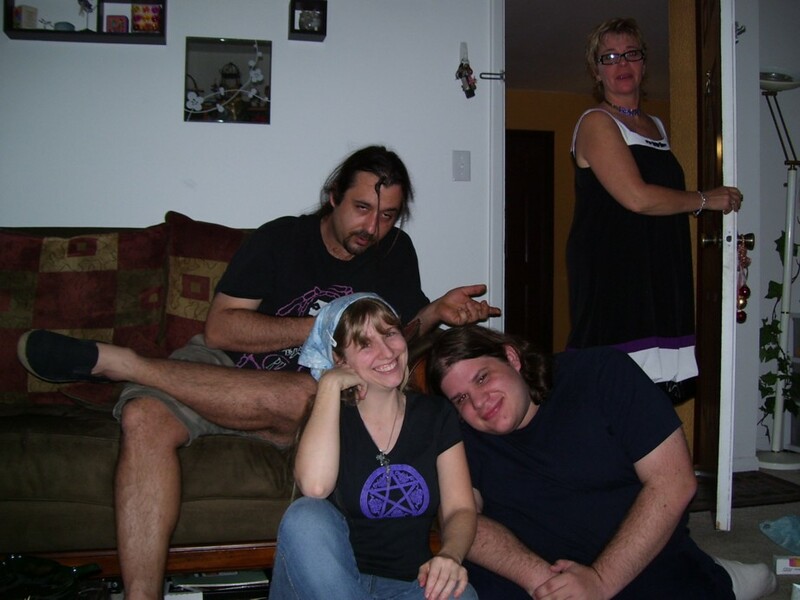 February 2, 2008.
renfam2.jpg: Meghan, Brendon, Katelyn, and Benjamin make up the "names-end-in-N family." 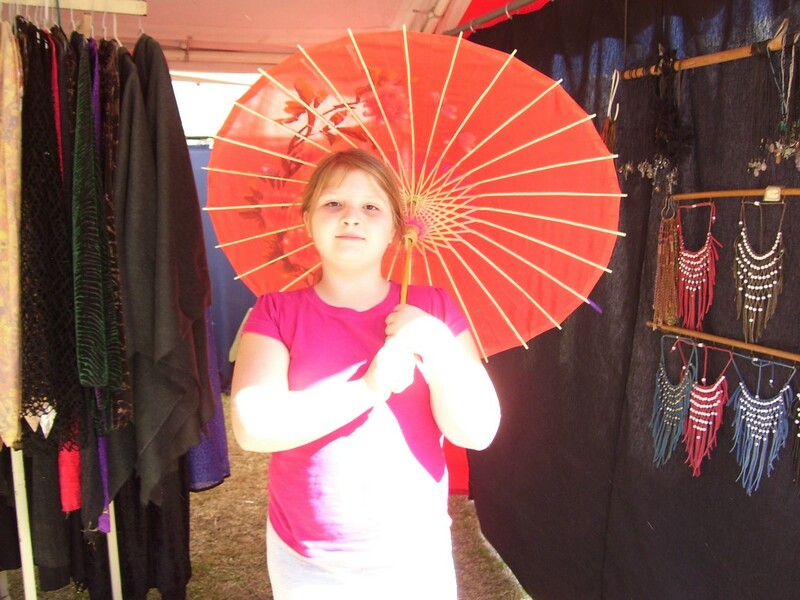 February 2, 2008.
katieparasol.jpg: Katelyn looks beautiful holding this parasol at the Renaissance Faire. 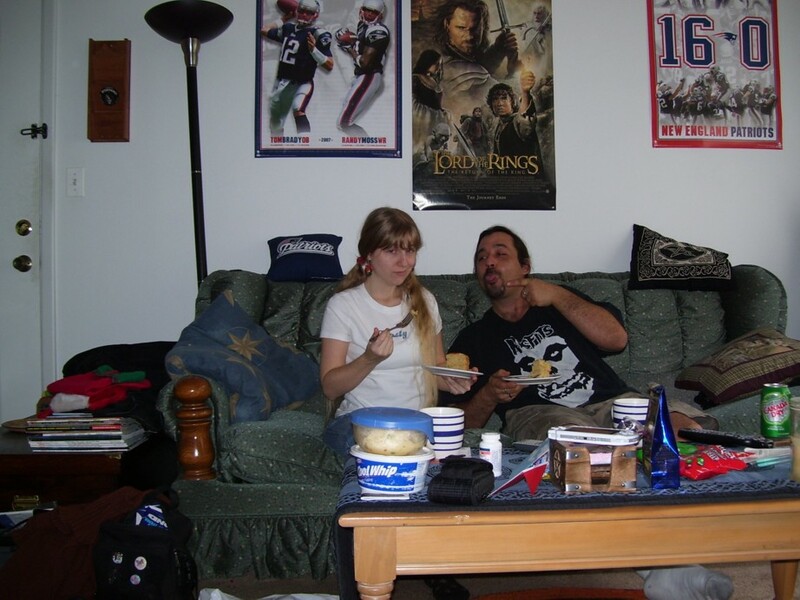 February 2, 2008.
quichegone.jpg: Victor and I ate quiche, but forgot to take any pictures until it was already gone. 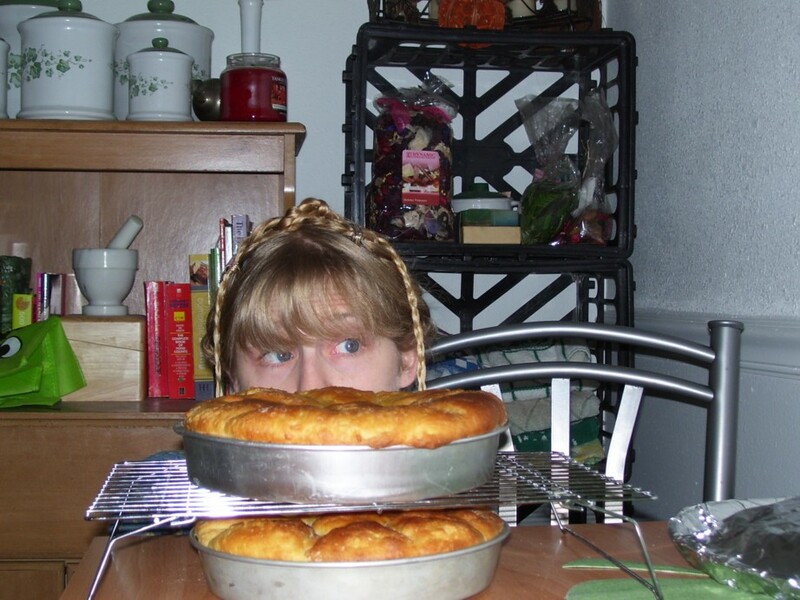 January 28, 2008.
cardabread.jpg: I baked three loaves of cardamom bread. 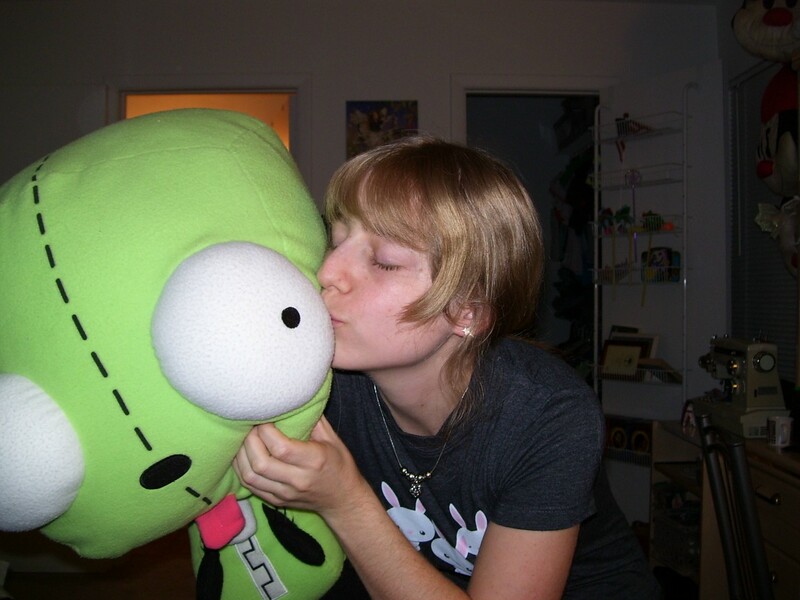 January 26, 2008.
kissingir.jpg: I'm kissing my GIR pillow and being silly. January 23, 2008. 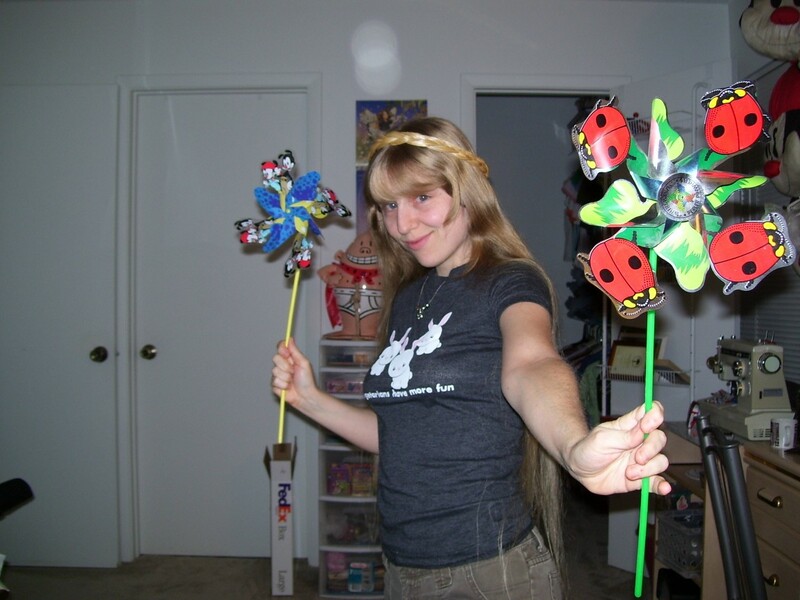 2pinwheels.jpg: Umm . . . I'm playing with pinwheels? 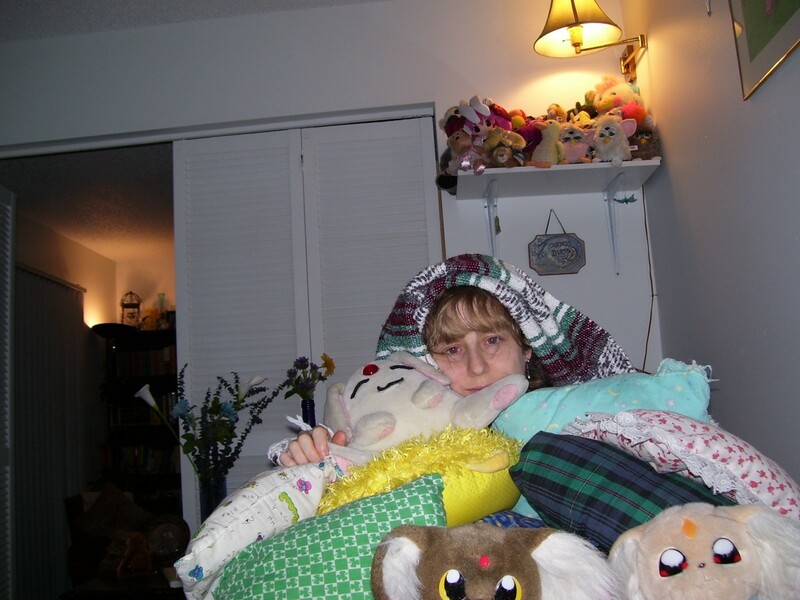 January 23, 2008.
animalcity.jpg: I'm covered in stuffed animals and pillows (and there are more animals on the shelf in the background). I am cold and tired, and neither of those conditions are unusual. January 14, 2008.
bonefish.jpg: I saw some of my extended family when we got together to celebrate all the Capricorn birthdays! 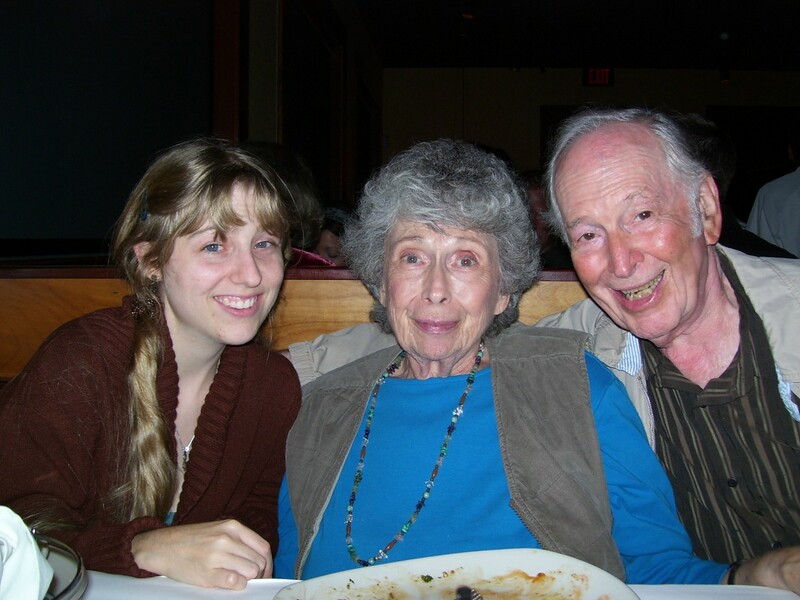 Here is me with my grandma and grandpa at Bonefish Grill. 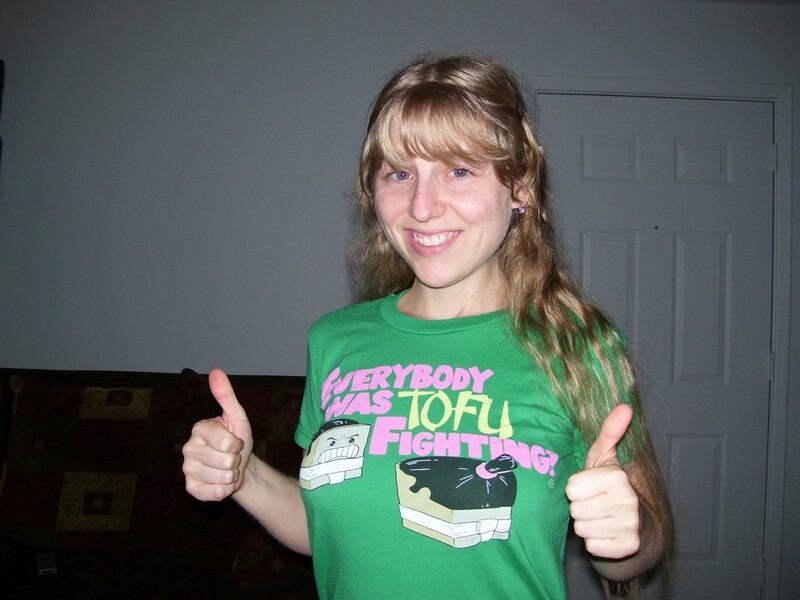 January 13, 2008.
tofufight.jpg: I received this shirt as an early birthday present from Laura. I love it! 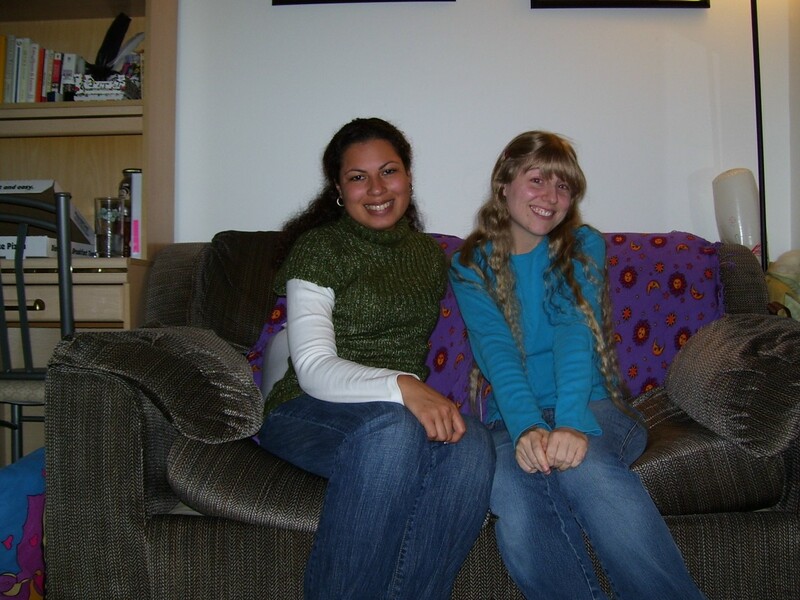 January 8, 2008.
ammy0108.jpg: Ammy visited me and we caught up and watched some anime. January 3, 2008.